Iva Peša is Research Associate in Environmental History on the ‘Comparing the Copperbelt’ project. Many researchers have attempted to record processes of social change among mining communities on the Copperbelt. Through the efforts of the Rhodes Livingstone Institute and CEPSI in the 1950s, and the work of anthropologists such as Ferguson (1999), Rubbers (2013) and Mususa (2014) more recently, we now have rich portrayals of kinship, political thought, gender and work on the Copperbelt. What is, perhaps, distinctive about ‘Comparing the Copperbelt’ is that our project seeks to historicise and compare the social life of mining communities (following Dibwe dia Mwembu (2001)) on both sides of the border. In addition to newly unearthed archival documents, we use oral history to hear those voices that rarely find expression in written sources. An artist in Likasi, Ferdinand Kakompe, explaining his artwork. 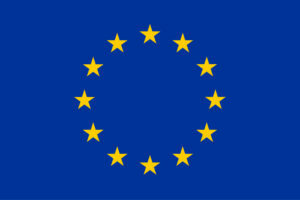 Photo, Iva Pesa (2018). From May until August 2018, we conducted 100 life history interviews in two mining towns, Likasi in the D.R. Congo and Mufulira in Zambia. We targeted people who have been living in these towns since at least the 1970s, but in many cases we were able to interview people who had been resident there from the 1950s onwards. By visiting different neighbourhoods, we sought interviews reflecting the diversity of these communities in terms of gender, education, social status and occupation (mineworkers of course, but also traders, teachers, nurses and farmers). After the initial interviews, for which we used an open-ended questionnaire, we conducted a smaller number of in-depth interviews on specific emerging themes. 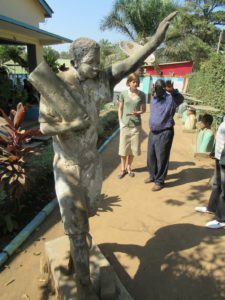 For example, with a senior mineworker we discussed what Gécamines culture meant to him; a particularly eloquent woman explained proverbs, theatre and changing dress styles to us; whilst an artist explained how he had been trained by missionaries. The interviews followed a roughly biographical path, starting with a person’s upbringing and education, their migration to Likasi or Mufulira, followed by their work history (including ‘informal’ economic activities such as trading tomatoes), family, leisure (music, dance and sports) and associational life (trade unions and churches). These initial questions brought up a host of revealing themes about which people talked at length: How did workers view the mining company as an employer? How did charcoal burners and urban agriculturalists make a living in the city? How did the fall of copper prices affect everyday lives? How did people make sense of political and economic change through religious practice? The interviews ended with opinion questions, for example about the cleanliness of the town, how the presence of the mine affected people’s lives or the impact of political changes. We adapted the questions asked to the particular life trajectories of our interviewees. I conducted these interviews together with Benoît Henriet (in Likasi) and Miles Larmer (in Mufulira), but we could never have done this work without Pierrot Monzi Kalonga in Likasi and Grant Chisapa in Mufulira. They not only identified suitable people, but they attended every interview, sometimes to translate from Swahili, Sanga or Bemba, but always to make people feel comfortable, to introduce us as researchers and to ask original questions of their own. 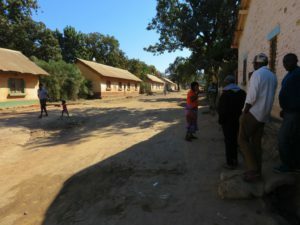 Houses in Panda, Likasi. Photo, Iva Pesa (2018). These interviews sometimes raised uncomfortable or difficult issues: many people discussed the loss of jobs, death, poverty, or economic and political insecurity. What stands out, however, is the remarkable resilience of Copperbelt residents. People found ways to carry on and to build a dignified life for themselves, no matter how difficult the conditions were. The impact of economic and political change, for example the privatisation of the mining companies or presidential change, were not singled out but interviewees compared their significance to the birth of a child, a change in employment or the discovery of a new church. To me, this was a reminder that we need to decentre academic conceptualisations of Copperbelt history that foreground economic and political factors over social and personal ones. Some highlights include one remarkably youthful man who attributed his good health to his organic vegetables, even though he grew these on what are probably the most polluted soils of Likasi. Several people recalled a sketch by the theatre group Mufwankolo, in which a greedy husband hides his wallet from his wife and then drops it in the pit latrine, forcing him to ask his wife’s help to get it out. Informants interpreted the moral of this story in slightly different ways, even if the general theme of reciprocity vs. greed stood out clearly. In Zambia, one of Mufulira’s musicians played his guitar for me and pointed out which bits of the song attracted female attention. There was also a female independence fighter, who trained to become a nurse at the age of 16 and showed remarkable strength in campaigning for the nationalist party UNIP on her bicycle. These personal anecdotes enriched and gave depth to my understanding of Copperbelt history. 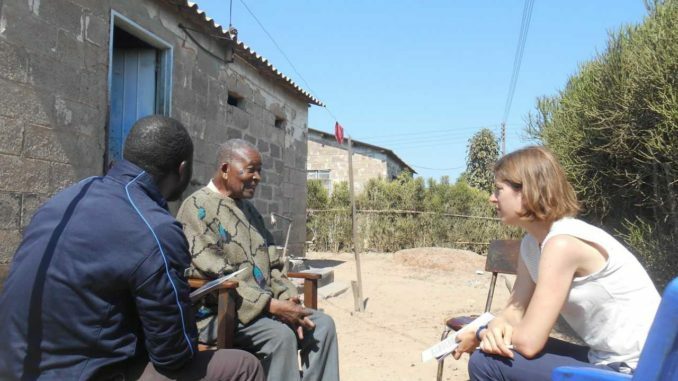 I learnt a great deal from these interviews, which will profoundly influence my writings about environmental and social history on the Copperbelt. However, they also revealed something painful about the unequal conditions of academic knowledge production. There is no way to do full justice to our interviewees and assistants in our own production of knowledge. No matter how significant their indebtedness to local respondents and assistants, academic publications list as their ‘authors’ only the names of researchers. The only thing I can do is to write something that does justice to the creativity, strength and dignity of the Copperbelt’s residents. This blog post is a first step in putting people’s experiences centre stage in my work. Donatien Dibwe dia Mwembu, Bana Shaba abandonnés par leur père : structures de l’autorité et histoire sociale de la famille ouvrière au Katanga, 1910-1997 (Paris: L’Harmattan, 2001). James Ferguson, Expectations of modernity: Myths and meanings of urban life on the Zambian Copperbelt (Berkeley CA: University of California Press, 1999). Patience N. Mususa, ‘There used to be order: Life on the Copperbelt after the privatisation of the Zambia Consolidated Copper Mines’ (Unpublished PhD thesis, University of Cape Town, 2014). Benjamin Rubbers, Le paternalisme en question: Les anciens ouvriers de la Gécamines face à la liberalisation du secteur minier katangais (RD Congo) (Paris: L’Harmattan, 2013).